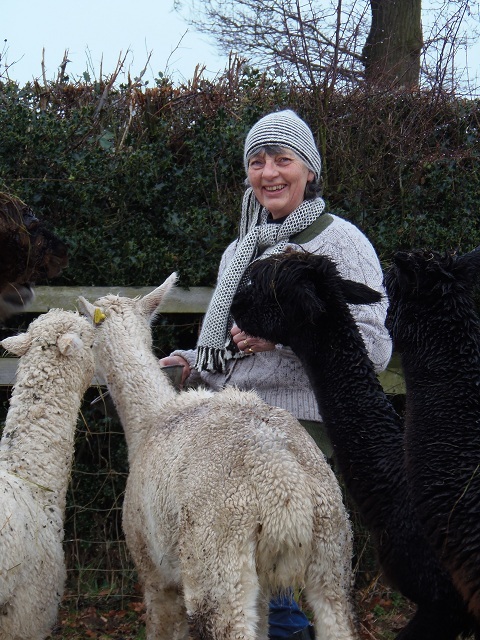 A Shropshire woman has launched a blog about life with her herd of alpacas and the beautiful products she creates from their wool. Jane Potts from Leebotwood used to be a farm secretary but fell in love with alpacas Phoebe and Eliza at the Royal Show in Warwickshire back in 2007. She now has a herd of 17 animals. Categories: Press releases | Tags: alpaca hats, alpaca products, alpaca scarves, alpacas, Coco Alpacas, Jane Potts, Shropshire copywriter | Permalink.